Sometimes your backlog items have very similar descriptions and similar tasks. It is quite boring to retype such backlog items over and over. All backlog item’s details are copied into the new backlog item. All tasks are copied as well. Status of the backlog item and status of all its tasks will be set to To do. ‘CLONED’ text will be added to the title of the clone. The clone will be automatically assigned to the same sprint and release so you can find it quickly. Click backlog item card to display details. Find Clone command in the toolbar. 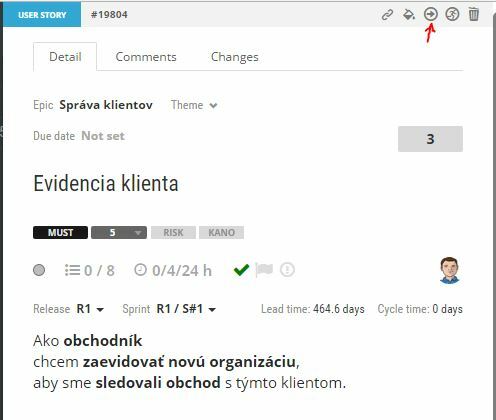 ScrumDesk asks you if you are sure to clone the backlog item. Progress of cloning will be indicated with progress bar. Once done, cloned backlog item will be displayed and selected so you can work with it.